Franco Manca is doing a very good deed this festive season by donating 20,000 free pizzas to those in need. Any charities, food banks, shelters or members of the public who know people in need can get in touch to arrange an order and make sure the pizzas get to those less fortunate. All 42 pizzerias will be helping out, with the initiative running until 14th December. A select number of pizzerias, including the Soho branch, will also be open on Christmas Day, offering free collections for those who have nowhere to go on the day as well as for emergency service personnel working hard on Christmas. 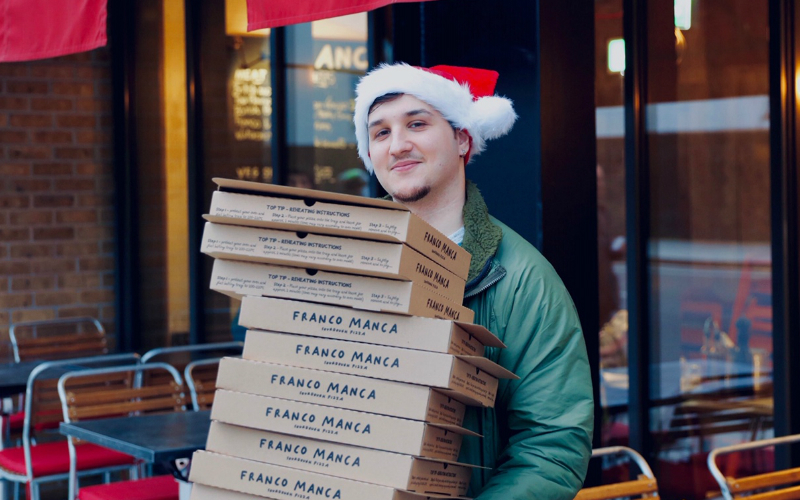 So if you know anyone that needs a helping hand this December, give Franco Manca a shout!